Austin may be known for its amazing food and live music performances, but it's also a great place to shop, especially in Downtown Austin where most high-end retailers and boutiques are located. Tourists and locals alike can enjoy a variety of products and items such as jewelry, alternative clothing, and even weird and quirky gifts from the different kind of shops across the city. Keep reading to learn more about some of the best places to go shopping in Downtown Austin. 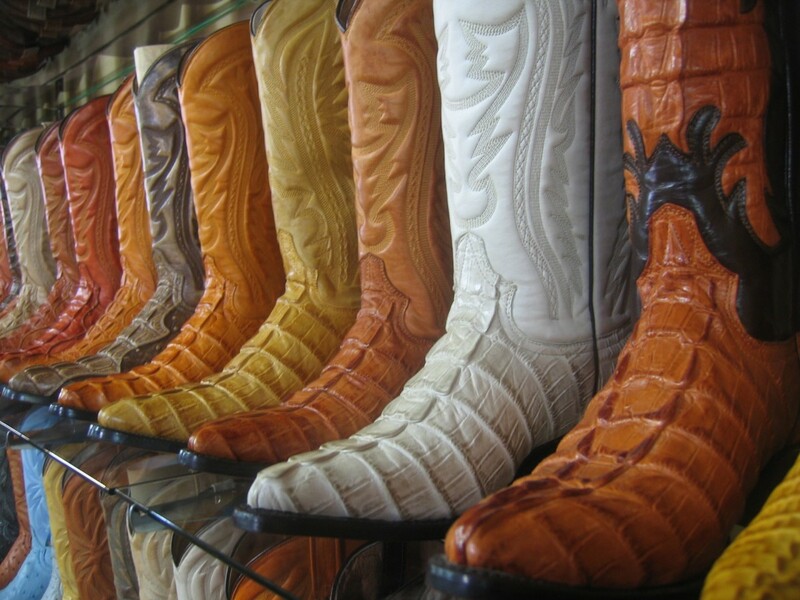 Texas may be the only state in the country with a shop that only sells cowboy boots. Since opening in 1977, Allen’s Boot Store in Austin’s SoCo District has made it easy to find the perfect pair of cowboy boots. Whether you need a new pair to ride with or just want to walk around town flashing your fashionable footwear, the store’s experts will always be there to assist you. If you’re an avid outdoorsman, the Yeti Flagship Store is just the place for you. With over 8,000 square feet, the store has more than enough merchandise for your next trip and even has a place where you can sit back, grab a beer, and talk with other like-minded adventurers. The Yeti store also hosts occasional live music performances, films, and professional guests, all teaching you the ways of the wild. When it comes to handmade suits, Bykowski Tailor & Garb is at the top of its game. Having a well-tailored suit is important for those special events where you must look sharp and elegant. Sure, it may be expensive, but Bykowski has reasonable prices on their ensembles starting at $300. The store offers custom designs in case you’re in need of a specific kind of suit and also sells different men’s accessories such as hats and leather goods. Sikara & Co. provides a wide array of jewelry designs inspired by different countries from around the world. The store’s proprietors take their designers with them on trips in order to learn about foreign jewelry, and they apply that knowledge to the local products they create. A few examples of their creations include Mandala-like rings, Egyptian necklaces, Amazonian-leaf earrings, and beautiful blue Italian pendants. This amazing boutique sells bright, handmade dresses perfect for sunny days and relaxing evenings at the beach. It’s a refreshing style that takes inspiration from the designer’s hometown of Veracruz, Mexico. Each CsillaWear item is handcrafted by the owner, making it a truly unique piece of clothing. Prize is another incredible spot when it comes to shopping in Downtown Austin. Located on the city’s 2nd Street District, Prize is an urban department store that has everything from accessories and furniture to art and greeting cards. The store sells a great selection of men's and women’s clothing with a wide range of prices. It also provides cool home décor products in case you want to revamp any space in your home, and Prize's interior designers are always standing by in case you need any guidance. Shopping in Downtown Austin is an enjoyable experience if you just know where to look. The variety of stores around the city highlights its multicultural residents, and you can find pretty much anything you’re looking for. Find more local shops in Austin like these by registering on 512area, your free guide to everything in Austin.